If you’re looking for a petite island that has the essence of European charm with the perfection of Caribbean beaches, a St. Martin honeymoon and a St. Maarten honeymoon are perfect for you! A St. Martin honeymoon and a St. Maarten honeymoon are a perfect blend of two cultures in one honeymoon destination. Phillipsburg is the capital on the Dutch side and Marigot is the capital on the French side, both of which offer excellent duty-free shopping with small boutiques and craft bazaars selling straight from Europe. Foodies will love the excellent selection of haute cuisine on offer in Marigot and Grand Case with French flair and a spice of Creole flavour mixed in. This island is small enough to explore on foot along the hiking trails that promise breathtaking views but many choose to pack a picnic and hire a bicycle or even gallop along the sands on horse-back. Both sides of the island have their own distinct identity that makes exploring fun as you experience the entertainment and action of the Dutch and the tranquility and beautiful nature of the French. If you want to explore further on your honeymoon, a St. Martin honeymoon offers the chance to find your own piece of deserted paradise on a number of nearby islands, some of which are completely uninhabited. Head to Tintamarre to swim with Parrotfish or Pinel for hikes with a view & lobster to finish or even take a trip over to neighboring islands of Anguilla or St Barts. Looking for two honeymoons in one? A St. Martin honeymoon and a St. Maarten honeymoon is double the fun, adventure, and relaxation! 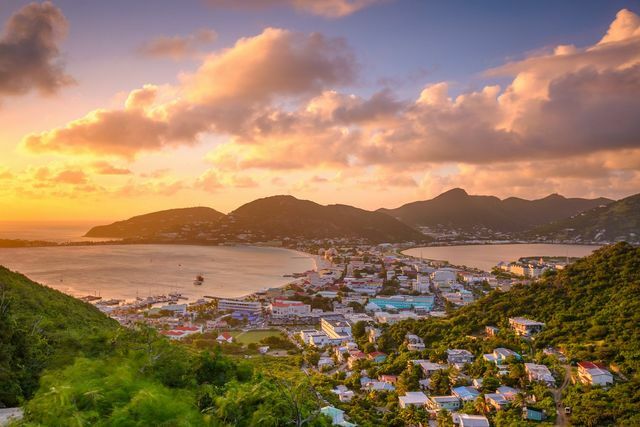 The most popular time to travel on a St. Martin honeymoon or a St. Maarten honeymoon is mid-December to mid-April when there is less humidity and westerly trade winds but it can be harder to find a deal at this time. Hurricane season runs from July to November and many hotels will close. Mid-April to June is a great mix of less crowds, excellent weather and deals on hotels. Try the world’s steepest zip-line Take the chairlift to the Crow’s Nest for an amazing view of the Caribbean & take the thrill of your life back down to the beach. Mind your head at Maho Beach Situated next to the airport, this spot is popular with tourists and planewatchers who stand on their toes to try and reach the planes coming in to land. Throw caution to the wind at Orient Beach Cool off in the calm waters at this popular, clothing optional beach. Sample some Guavaberry liquor Try St Martin’s traditional liquor made up of rum, cane sugar & wild guavaberries at the Sint Maarten Guavaberry Company in Philipsburg. Kayak to Pinel Island Explore the deserted beaches, hike the trails or fill up on lobster at one of the three beachfront restaurants on this tiny island off the coast of Orient Beach. Drink in the sunset at Cupecoy These three beaches with limestone cliffs offer up sunsets that have to be seen to be believed. Enjoy the view over Saba from one of the restaurants here or on the sands with your new Mr or Mrs.
Watch the sunrise at Dawn Beach Beat the crowds and get here early to watch an amazing sunrise before snorkelling in the crystal clear waters. Send your hearts fluttering with butterflies Head to the butterfly farm as newlyweds to learn about these tropical species. Stand still enough and they’ll even land on you. Hike to Pic Paradis Follow the trails above Loterie Farm past Hope Lake or the ghost village of Petit-Fond for breathtaking views over the rainforest and island. A perfect romantic spot for your honeymoon! Gamble it all at Casino Royale Find out why this tropical island has earned itself the name of the Las Vegas of the Caribbean at this sprawling casino near Maho Bay.